Thomas R. Sheaffer, 82, of Lancaster, went to be with the Lord on Monday, February 19, 2018 at Moravian Manor in Lititz, with his loving family, by whom he will be greatly missed, by his side. Born in Lancaster in 1935, he was the son of the late A. Paul and Catherine (Holtzapple) Sheaffer. He was a member of the Abbeyville Church of Christ. After high school, he served in the U.S. Air Force, and worked in the banking and home care industries most of his life. 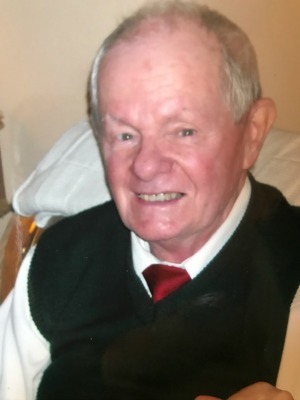 He volunteered at Lancaster General Hospital and the American Red Cross, worked for Ecklin Development, and was an active member of the BPOE Elks, Lancaster Sertoma Club, and the Fellowship of Rabbits. He loved watching sports and traveling with his family. Tom was a very caring and considerate man who touched the life of everyone who had the pleasure and privilege of coming in contact with him. Surviving are his two daughters; Kathy L. Henry, wife of Melvin Henry, and Donna J. Hahn, wife of Tony Hahn, their mother; Helen K. Smith, two grandchildren; and two great-grandchildren. He is also survived by two of his siblings; Joseph R. Sheaffer and Mary K. Huber, and many nieces and nephews. He is preceded in death by his other siblings; Terry R. Sheaffer, Paul C. Sheaffer, Sidney R. Sheaffer, Bruce B. Sheaffer, and J. Donald Sheaffer. Relatives and friends are invited to attend a Memorial Service on Friday, February 23, 2018 at the DeBord Snyder Funeral Home, 141 E. Orange Street, Lancaster, PA 17602 at 3:00 PM with the Rev. Ricky McCarl officiating. Friends may greet the family from 2:00 PM until the time of the service. Interment will be private. Please omit flowers and respectfully make any contributions in Tom’s memory to Compassus Hospice of Lancaster, 2101 Oregon Pike, Suite 301, Lancaster, PA 17601 or any charity of your choice. It was our pleasure to have Tom as a volunteer at LGH for 14 years. Everyone he volunteered with adored him. We really missed him when he retired and we send our thoughts and prayers knowing you will miss him the most. I had the honor and privilege to work with Tom at Skylight Waiting Center when he volunteered for LGH. He was one of the most kindest and giving people I have ever met. He touched so many people in a positive way, whether it be a patient, family member, or an employee! Everybody loved Tom!! We had alot of good laughs together and I will cherish every moment we had! We lost a great man but heaven has received a terrific angel!! may tom rest in peace forever. he was a good man,and friend of mine, from the 500 block of dauphin street, to lancaster house north. god bless his soul. I am sorry for your loss of Tom. May the God of all comfort”embrace you and bring to your minds joyful memories. All the best wishes for your family at this time, take care.